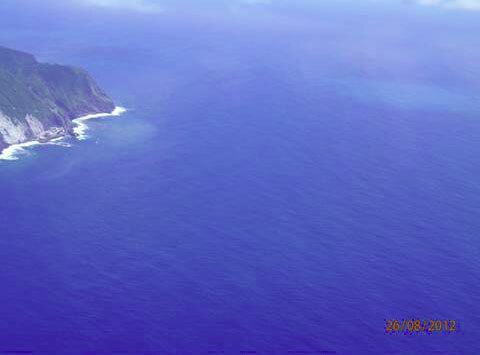 Aerial monitoring conducted by the Japan Coast Guard (JCG) on August 26th revealed a previously unobserved circular area of light green discolored water measuring approximately 900 m in diameter about 1,300 m southeast of Aogashima Island’s southern edge at a depth of 63m. Large areas of light-brown and light-green discolored water were seen around the island’s northern coast, and light-brown and light-green discolored water were also seen around its southeastern coast, these discolorations had previously been observed on a small scale. No volcanic earthquakes or tremors around Aogaxhima were observed, and GPS data revealed no changes related to volcanic activity. No change in seismic activity and ground deformation was observed, showing no symptoms of eruption in the island.